Got some moose meat given to me this weekend! Better than flowers to this women =) So many things I could do with it but with this round I decided to turn it into jerky. Good jerky with healthy simple ingredients and no crap added is tough to find and often expensive. I’ve posted a Salmon Jerky (oven dried) before so I figured it be good to do a red meat one too. I’ve used ingredients I have on hand in my kitchen for a basic marinade which is really just healthier versions of traditional products and the jerky turned out perfect. Not too salty, just the right amount of sweet, smoke and spice. If you like it more sweet or spice, simply add more! Slice roast into slabs approximately 1/4 inch thick strips. In a large sealable container, combine the marinade ingredients, stir well then add strips of meat. Close or cover and refrigerate for minimum 2 hours, up to 12 hours. Place strips on dehydrator racks, without overlapping. Dry at 140-160F. for the first 3-4 hours. The temperature may be reduced to as low as 130 after 4 hours to finish drying (total hours 12-20) all depending on how dry you like your jerky. If necessary, occasionally blot the jerky with paper towels as it dries to remove beads of oil. 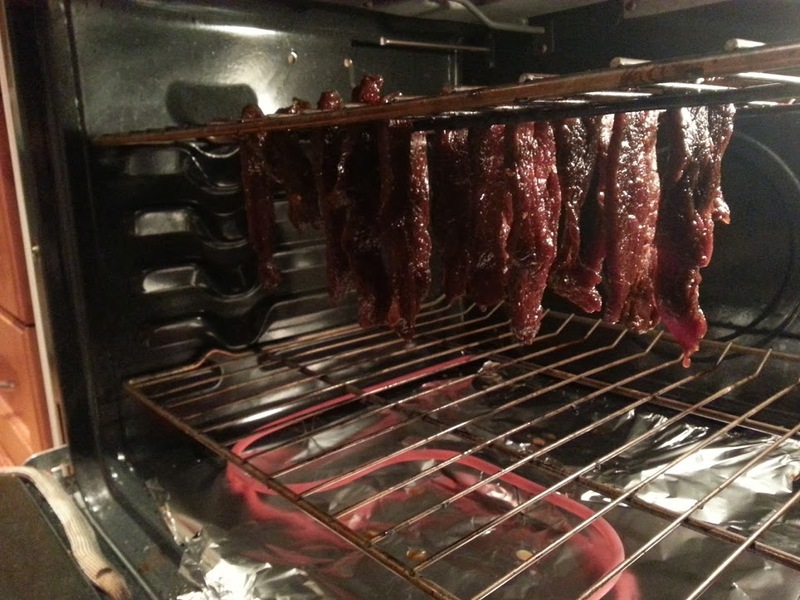 Test jerky for dryness by cooling a piece. When sufficiently dry, cooled jerky will crack (but not break in two) when bent. There should be no moist spots. TIP: If jerky is too brittle, brush on a little Worcestershire sauce or soy sauce to soften it. You can use your oven! Hang the strips on skewers on one end of the oven. Some ovens can be set low, in this case follow the same temperature instructions as above. If not, set your oven to its lowest (probably 150 or 160) and dry for 4 to 5 hours with the door slightly cracked open, use a metal spoon or something heat safe to hold it open. 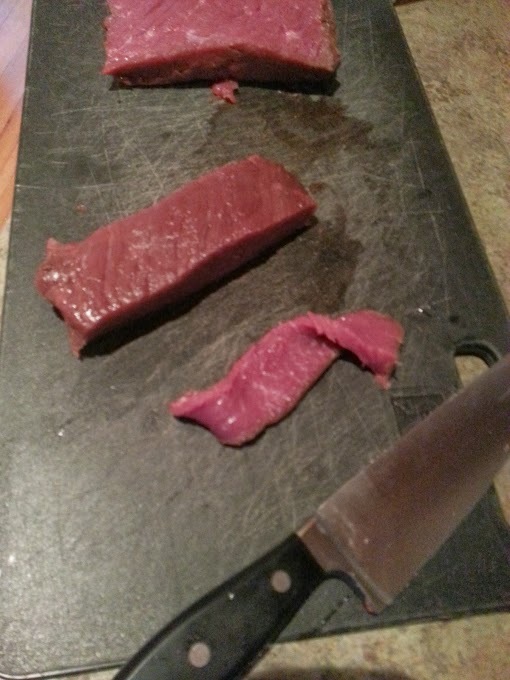 Cut cool jerky into 2 to 4″ pieces before storing. Jerky containing salt and cured without a commercial curing preparation may be stored at room temperature for 1 to 2 months. If air humidity is low, the container should have a loose-fitting lid or one with holes punched in it. Good air circulation keeps the flavour fresher. 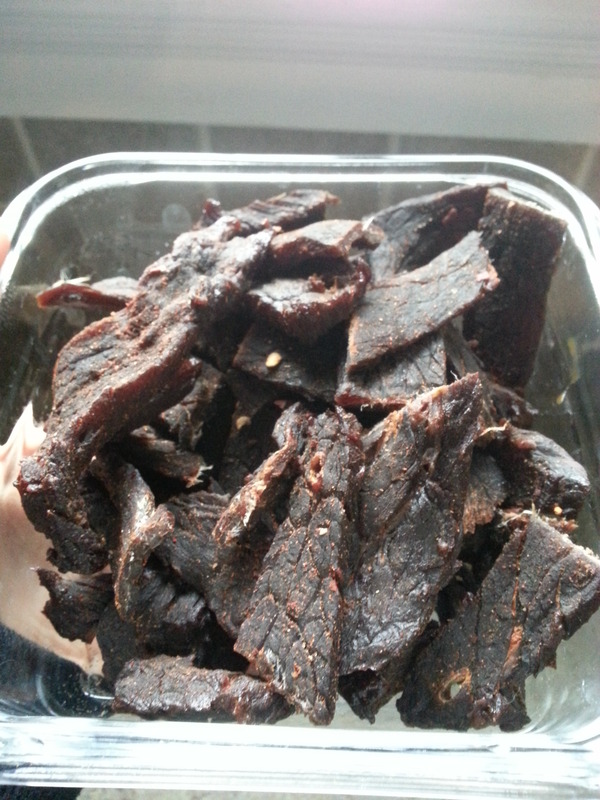 If the humidity of the air is more than 30%, store jerky in an airtight container. Jerky may be refrigerated or frozen to increase shelf life and maintain flavour. Don’t waste that left over marinade either, pour into a pot and bring to a boil for 3-5 minutes then cool and store to use as a BBQ sauce for chicken or something later. I love Bailey’s during the holidays and I always indulge a glass on ice in the evening or a generous splash in a coffee Christmas morning but boy do I pay for it, the combination of cream, sugar and alcohol really make my stomach hurt. So, this year I made my own! I made it a few different ways to suit different restrictions and see what works, personally I am ok with goat’s milk and like that it lends a bit of that dairy like flavour but you can also make this recipe totally vegan using just coconut milk or half coconut milk, half unsweetened almond milk. If you Google homemade bailey’s recipes they are all pretty much the same although some have egg and some don’t, I tried my recipe with and without and although I think I like it better with the eggs, it works nicely without (just not quite and thick) so, suit yourself! Most at home recipes call for almond extract, I took this out because I found the coconut and almond together yield a less Bailey’s like taste. I will also include a recipe to make your own chocolate sauce, it’s easy and much healthier then store-bought. In a blender or food processor, mix eggs until frothy. Add all other ingredients except Whiskey and blend for a few minutes or until thick and frothy. Add Whiskey to taste and pulse a few times to mix well. Store in the fridge for up to a month! First you need to make your own Condensed Coconut Milk and Chocolate Syrup. 2 cans of coconut milk into a pot and bring to a boil. Reduce and simmer on low for approximately 10 minutes; you want to see it reduce by about 1/3 here. Then, add ½ a cup of coconut sugar and 1 teaspoon of vanilla extract and a pinch of sea salt then continue simmering until total volume is reduced by almost half. You want it thick! Strain and set aside to cool. Combine cocoa and water in a small pot and bring to a boil, add sugar, vanilla and sea salt then simmer for 3-5 minutes. Done! I pour mine into a jar and store it in the fridge for all kinds of uses. If you want a thicker sauce simply continue to simmer on medium/low to desired reduction. First day out fishing at the family cabin we went out for the afternoon bite just to get the hooks wet and see what’s going on just outside the inlet, we were hoping for salmon but all we caught was mackerel. Mackerel after mackerel and some more mackerel, at one point we pulled the lines just to check them and we had 4 mackerels, so I decided, no way, we are keeping them and I am going to make them good. 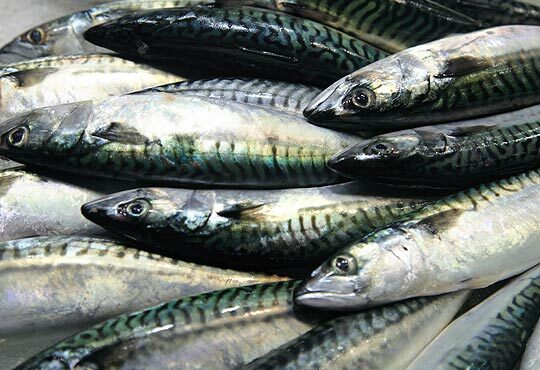 My quick online research told me that Mackerel is part of the same family as tuna and actually quite good for you, it is high in fat but unsaturated fat and a filet still has fewer calories than beef and some other meats. It’s loaded with the omega fatty acids EPA, DHA and ALA, all of which are good for brain growth and heart protection. The people around here’s first recommendation was to batter the heck out of this fish but I decided to treat it like tuna and add a little Asian flare to it. Being a fatty fish a fast fry without oil in a cast iron skillet worked well. Here at the cabin I threw the iron pan on the BBQ on high, sea salted, peppered and lemon zested the flesh and cooked it skin side down. The recipe below is for the sauce I made to top it with but honestly it was totally tasty just off the BBQ! When cooking the fish you should press it down several times to really char the skin and keep it flat, when it’s just about done you’ll see almost all the purple/pink flesh gone, flip for a few moments to just heat the flesh but do not press here. Serve with sauce over basmati rice with something like salad or asparagus….seriously delicious. Tried and tested on skeptic fishermen! Combine all prepared ingredients except oil, whisk then add a good splash of olive oil and whisk again, set aside until fish is cooked then simply spoon on top! Summer is coming and (apparently) Spring is here which for me means salad time! 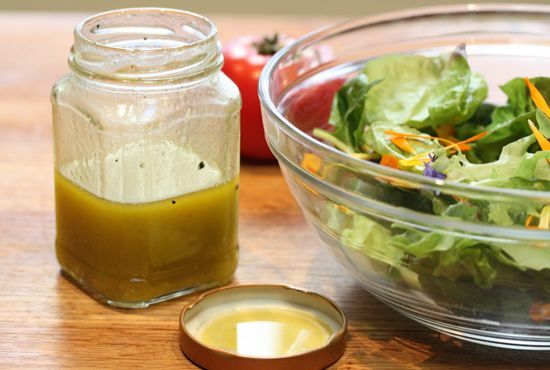 I almost never buy a salad dressing, it is so healthy, fresh and easy to make your own, once you get the hang of it you’ll wonder why you ever bought a store dressing. Some of these recipes are mine, some I have acquired along the way but all are well used and loved. I have been meaning to do this post for too long now so I’m going to just provide a list and will likely come back and update to add more later. A post for Dips and Pesto are soon to follow. Enjoy your greens! Combine, blend or process until smooth. Combine, blender or food process until smooth. Store in an airtight container in the fridge for 4-5 days. Combine, blend/process. Best if refrigerated for a couple of hours prior to serving. Put all ingredients into a blender or food processor and puree until smooth. Just a couple pulses in a blender will do or just a good shake! Combine in blender/processor and blend until very smooth and creamy. Add salt to taste and blend again. Combine, blend or processes until creamy and smooth. Makes just over a cup. Combine, blend/process until relatively smooth. Dressing will thicken over time. This is a great little eggplant appetizer served with a garlic saffron mayo dip. It is gluten-free too! I used Japanese Eggplant to get a nice two-bite sized cut, you could also make this as a side to a meal and use a large eggplant. If a little wheat is not a bother to you, using ½ flour and ½ panko bread crumbs works really well too. Let saffron infuse in hot water for 10 minutes then add mayonnaise, garlic to the bowl and mix until smooth. Refrigerate until use. Whisk together flour, tapioca, cayenne, garlic powder, and sea salt. Heat at medium/high enough oil to cover your pan. If you need to work in batches add oil each time. 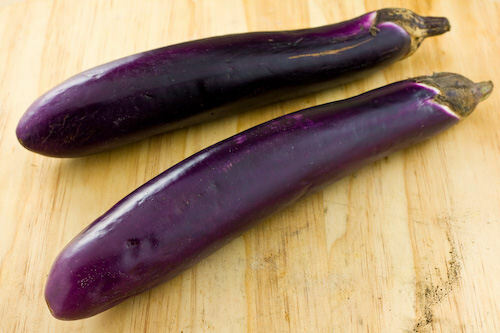 Dip the eggplant slices into beaten eggs, then, press both sides into flour mixture. Shake off excess and place onto hot fry pan. Fry until golden brown on each side, this doesn’t take more than a minute or two each side. Be careful not to burn. Garnish with parsley and serve with saffron mayonnaise. Wow it’s been so long! I know too much time has past without any posts, I have a few good reasons or excuses but mostly just haven’t been creating anything new at all. I have one quick little recipe to share that I came up with over the holidays that was a huge hit and then a promise to post again soon. In fact, I have just been given a good amount of Saffron which is amazing because it’s expensive but also because I have never worked with it and have wanted to for a long while. Going to do some research and creating and get back to you very soon! This is my healthier, dairy-free version of traditional spinach and artichoke dip, I honestly put this one together while guests were arriving for our Christmas party and thankfully, it turned out awesome. Kinda a hit at the party! Only thing of mention as far as the recipe goes is the vegetable bouillon cube, I think it’s important to find a good healthy brand because most have a lot of junk in them. I like GoBio, they are made with sea salt and are gluten free, GMO free, no MSG and yeast free. Combine all ingredients in glass baking bowl and bake in oven for 10 minutes until the top has turned lightly golden brown. Serve with gluten-free chips or bread and veggies! *Roasting garlic is incredibly easy, wrap a whole head in tin foil and place in 400 degree oven for 30-35 minutes. Summer came and went a little too quickly this year, I can already feel the crisp coolness of Fall creeping up =( We had a good one though, fortunately enjoying almost 3 weeks at our family cabin last month. Having a cabin on Vancouver Island is an amazing luxury if you love sea food! 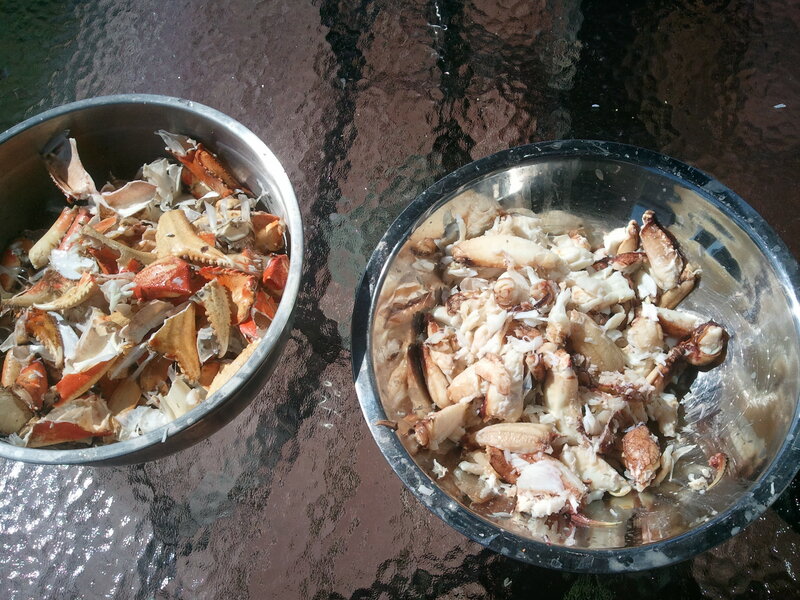 We may have been a little short of sunshine this Summer but never short on Dungeness Crab in Kildonan. I made a large batch of these tasty cakes with a big bucket of left over crab brought over by a neighbour. The most difficult part of this recipe is hand picking 1 1/2 pounds of meat, I think it took me well over an hour. Whether you catch, clean, cook and hand-pick your crab or simply buy it ready-to-use, be sure to use REAL fresh meat and these cakes are guaranteed to be a hit. Mix bread crumbs and 1/2 a cup of parsley and set aside. In your blender or food processor, combine the egg yolk, lemon juice, Worcestershire sauce, Tabasco sauce, mustard, paprika, thyme, celery seeds, and black pepper. Pulse to combine. Now, while the motor is running, add the olive oil slowly in a steady stream until the mixture emulsifies and forms a mayo sauce. In another large bowl, combine onion and bell pepper with the remaining 1/4 cup of parsley. Add the mayo sauce and crabmeat and mix lightly. Fold in bread crumb mixture. Hand mix gently and then form into flattened 1/2 thick patties and place on a flat pan. Cover with plastic wrap and refrigerate for an hour or longer. You may even freeze them at this stage for later use! Combine all ingredients in a small bowl and mix well. Taste and adjust salt and pepper. Refrigerate. Heat large non-stick skillet on medium heat and add about 2 tablespoons of butter or oil. Work in batches frying crab cakes gently 4 to 5 minutes on each side, until they are golden brown and heated through. Add more butter to the pan after each batch to ensure crispyness.